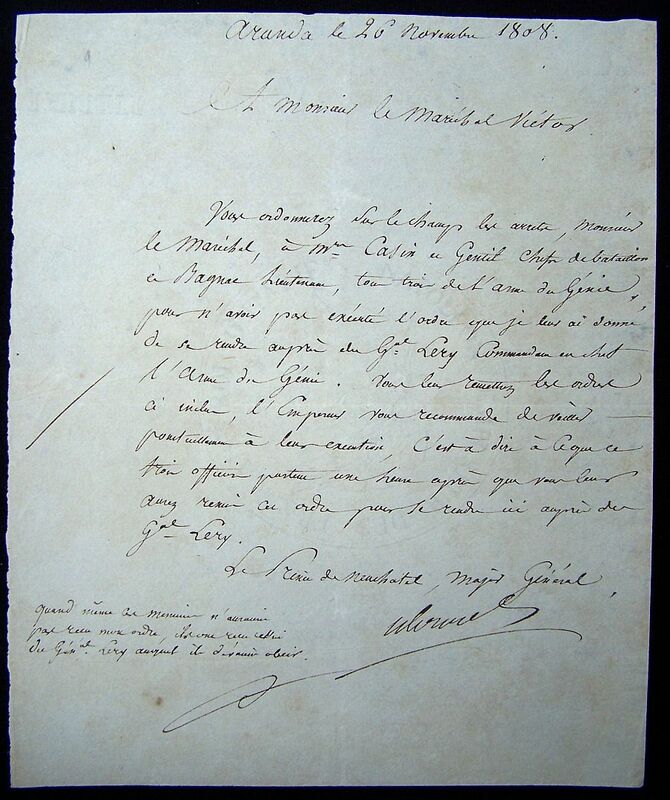 Napoleon turned his eyes toward Spain, with its continual revolts and English interference. 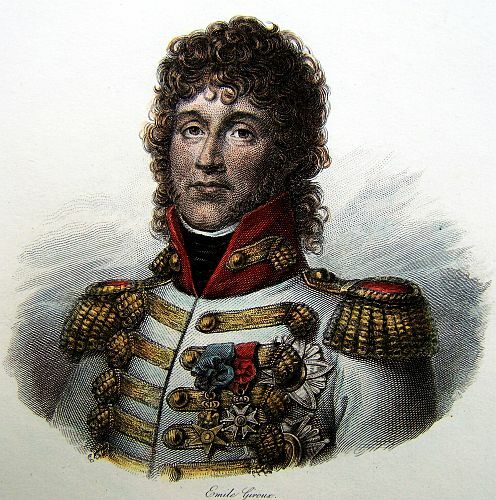 Lannes had a low opinion of the Spanish conflict, and did not want anything to do with it, but Napoleon dragged him to Spain. 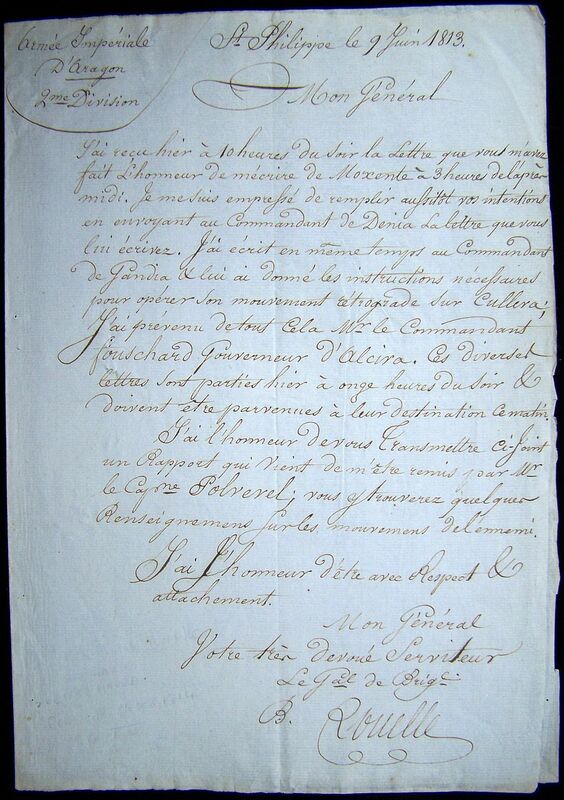 They left France on the 29th of October, and reached Tolosa on the 4th of November 1808. The traveling was made difficult by the winter weather and the mountainous terrian. 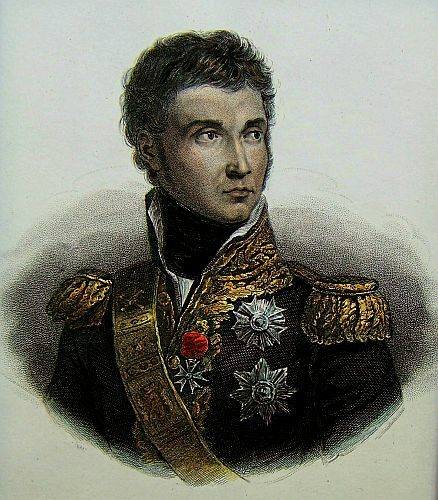 Lannes rode ahead of the group, and when he was out of sight his horse slipped and fell, crushing him. 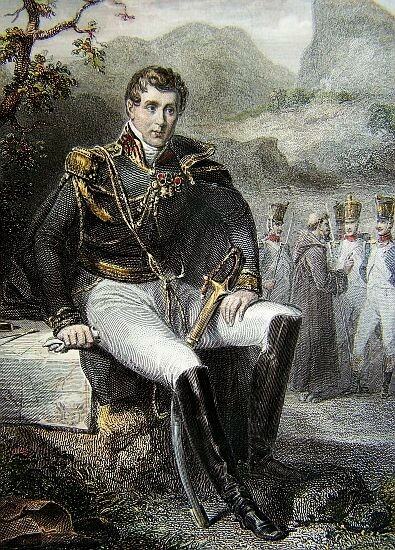 Lannes would have to be carried down the mountain until reaching Vitoria. He would spend a week there until moving onto Burgos on the 11th of November. 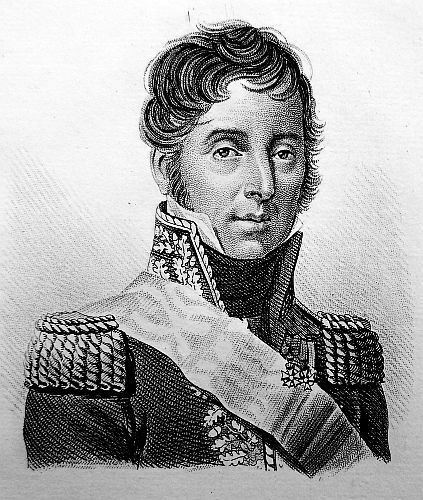 On the 20th of November, Lannes and Moncey marched to Lodosa with 30,000 troops in order to confront the Spanish army under the Generals Castanos and Palafox. 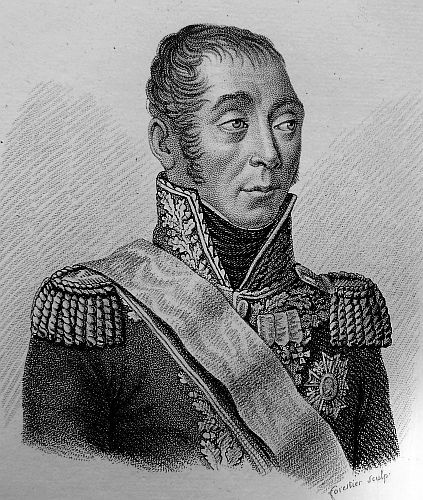 General Palafox marched a significant portion of the army to Saragossa, leaving Castanos to fight the French. 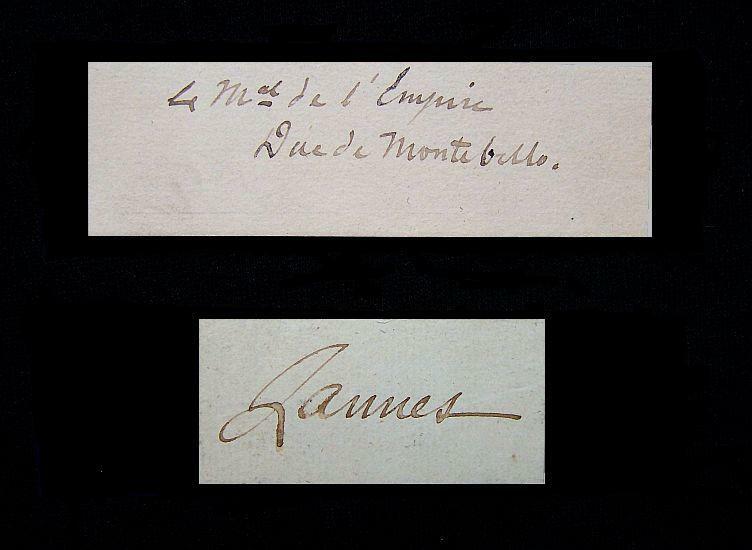 When Lannes came in sight of the Spanish army, he only had the Lagrange’s infantry division. The first assault failed but by then the rest of the French army had arrived on the field. 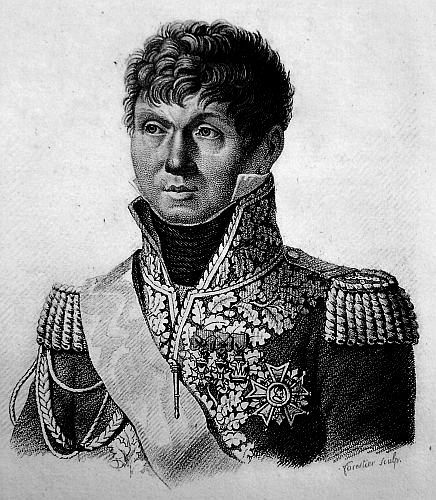 Lannes then ordered Morlot, Mathieus, and Lefebvre-Desnogettes to attack the Spanish positions, which scattered the enemy. 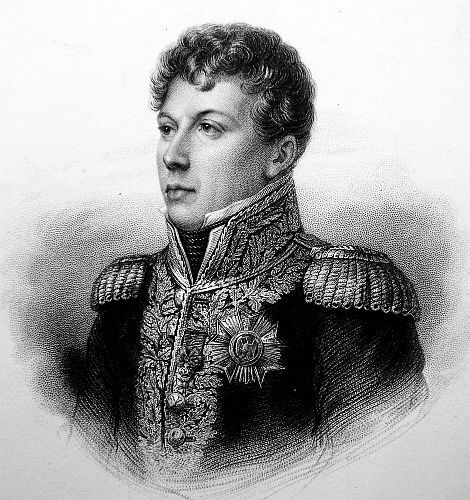 Many of them retreated to Saragossa under General Palafox, and Lannes would soon have to fight them again. 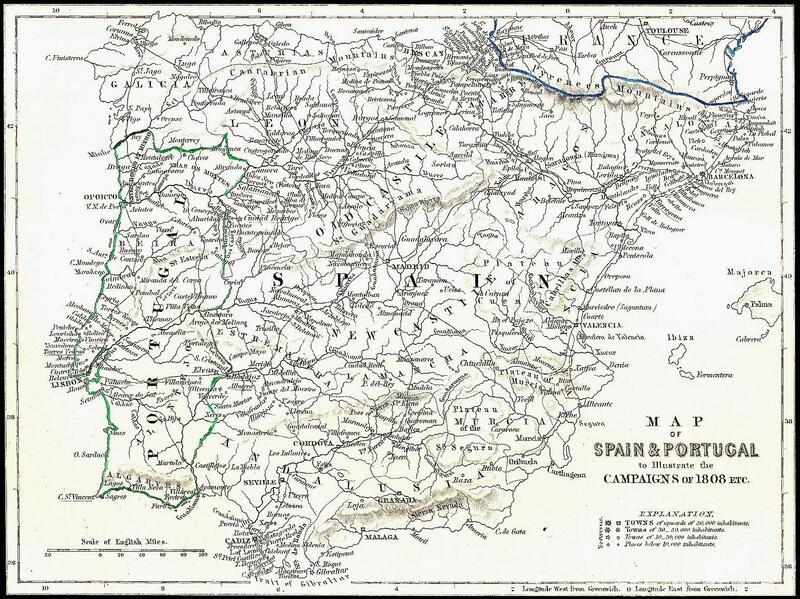 After a week of chasing the remnants of the Spanish army, Lannes left Tudela for Madrid on the 9th of December. 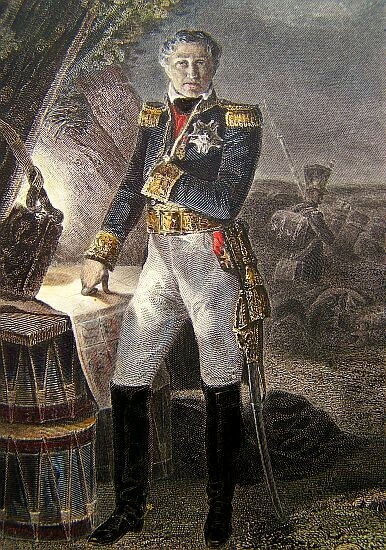 Napoleon now set his sight on Saragossa under the command of General Palafox, and the English under General Moore. 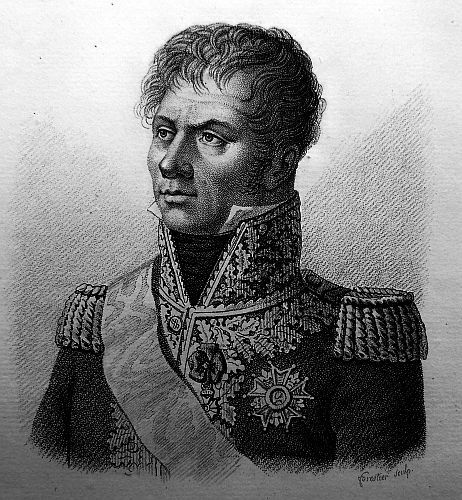 Lannes would soon find himself at another dreadful siege. The people of Madrid, since the events at Aranjuez, have been constantly in a state of ferment. Their pride and presumption had arrived at the highest pitch of which it is possible to form any conception. The victory which they obtained over their KING, the trophies which they were elated with having snatched from the two hundred carabineers, who formed the life guard of the Prince of Peace, inspired hopes that every thing must give way to their fantasies and licentiousness. Every day were injuries done to the French; sometimes the guilty were punished in an exemplary manner; but the French always discovered the coolness and tranquillity of the strong, towards the commotions of the multitude. It is true, that the good sense of the great body of the respectable inhabitants of Madrid, confirmed this disposition on the part of the French. Within these two days, the assemblages of the people were more numerous, and appeared to have some determinate object in view. Reports and proclamations in manuscript, were dispersed over the country; cool spectators of those things, as well Spaniards as French, saw a crisis approaching, and saw it with pleasure, for without some severe lesson, it was impossible to bring back the misguided multitude to reason. The Queen of ETRURIA, and the Infante Don FRANCISCO, indignant at the affronts to which they were daily exposed, asked and obtained permission to set out for Boyonnes. 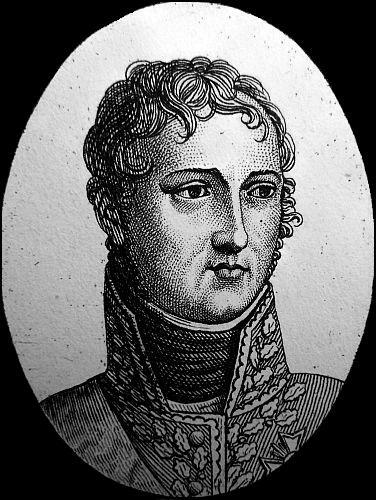 The Grand Duke of BERG sent one of his Aides-de-Camp with his compliments and assurances that they should sustain no injury; having reached the court of the palace, the Aide-de-Camp was surrounded by the assembled mob, but he defended himself long, and at last was on the point of sinking, when ten grenadiers of the guard advanced with charged bayonets, and rescued him. At the same moment, a second Officer was wounded by another mob. The great street of Alcala, the Sungace, and the Great Square, were covered with the populace. 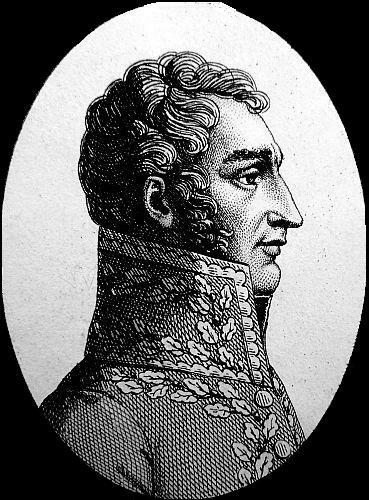 The Grand Duke of BERG caused the alarm to be beat, and every one repaired to his post, while a battalion of the Grand Duke’s picquet, with two pieces of cannon, advanced near the court of the Palace, where the seditious were the most daring; being drawn up in line, a firing began from two ranks; the grape shot flew through the different streets, the arrayed crowds were dispersed in a moment, and the greatest dismay succeeded to the most extravagant arrogance. The Grand Duke had sent orders for General GROUCHY to scour the street of Alcala, for the purpose of dispersing an assemblage of more than 20,000 men, who were in it and the adjacent squares. 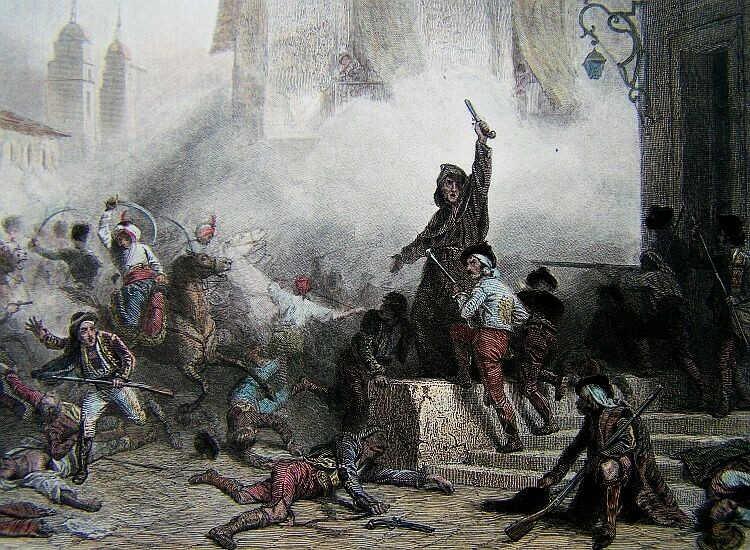 Thirty discharges of artillery with grape shot, with several charges of cavalry, cleared the streets; after this, the insurgents took refuge in the houses, and begun to fire from windows. Brigadier General GUILLOT and DAUBRIN broke open the doors, and all who were found with arms in their hands were put to the sword. 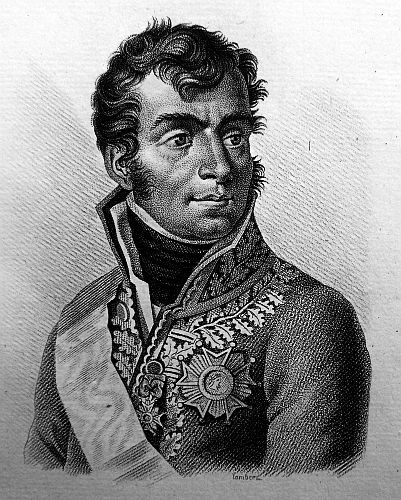 A detachment of horse guards, at the head of which was DUSMENEL, Chief of Escadron, made several charges in the square. This Officer had two horses killed under him, General GROUCHY had a horse wounded. The EMPEROR set out today at noon for Spain. His MAJESTY will, it is said, sleep at Irun, and arrive early tomorrow, with his august brother, at Vittoria. His Majesty was not to keep himself long incog. at Marae. The Bayonese were most eager to express the joy which they experienced at learning the happy arrival of their august Sovereign. Last night the town was spontaneously illuminated. An immense concourse of people filled all the streets and public places, and the cry of “Long live Napoleon!” resounded from all parts. We learn that there has been a very brilliant affair for our troops near Lagrbna. The insurgents have been completely beaten. 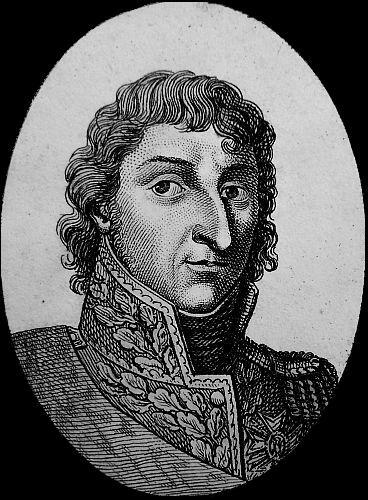 On the other side a division of the army commanded by Marshal MONCEY, had, on the 26th of last month, an engagement at Lerin, in which the Spaniards were defeated. 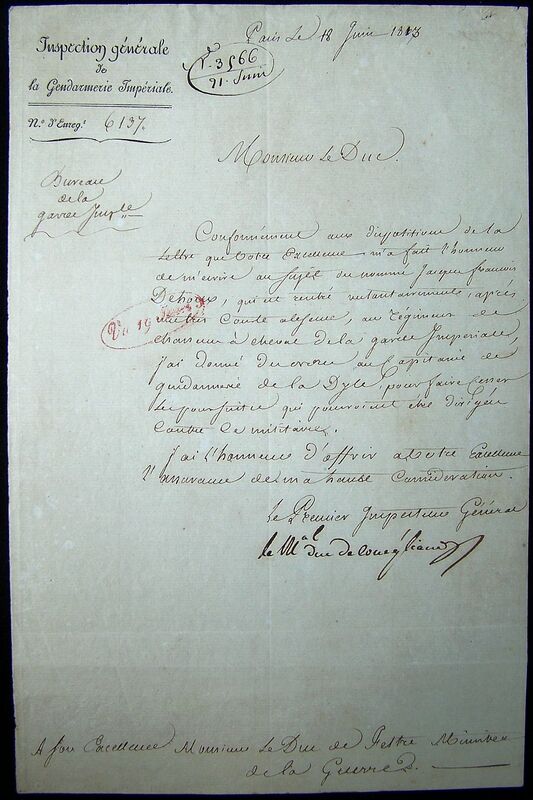 In this affair we took several pieces of cannon, and 600 prisoners, which yesterday arrived at Bayonne. The officers are confined in the citadel. Those miserable Spaniards are in a most deplorable condition; their clothes are mere shreds, and they are without shoes. Every disposition is making for vigorous offensive operations; and the arrival of his MAJESTY will, without doubt; give birth to great events. ROMANA’S corps will be the first attacked. We are even assured that every means have been taken for cutting off his retreat. The siege of Saragossa will commence in a few days, and be vigorously carried on. 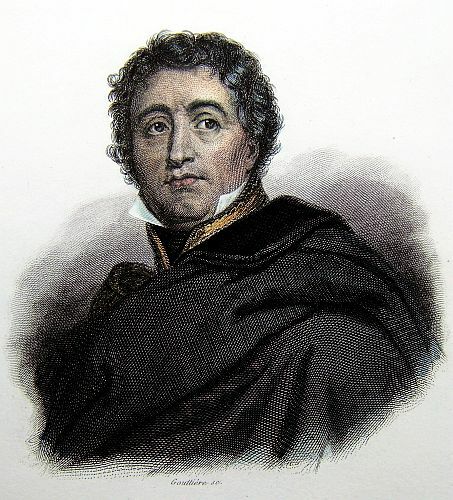 There is a report today at Bayonne, that Blake has lost 5 or 6,000 men in an engagement which he had with General VERDIER, but this report appears premature. Troops of all descriptions are continually passing through this place: they are animated with the best spirit, and burn with impatience to fight under the eyes of the hero who always leads them to victory. The military system seems to have been as follows: On the left was the army of Gallicia, one moiety of which was composed of troops of the line and all the resources of Gallacia, Asturia, and Leon. 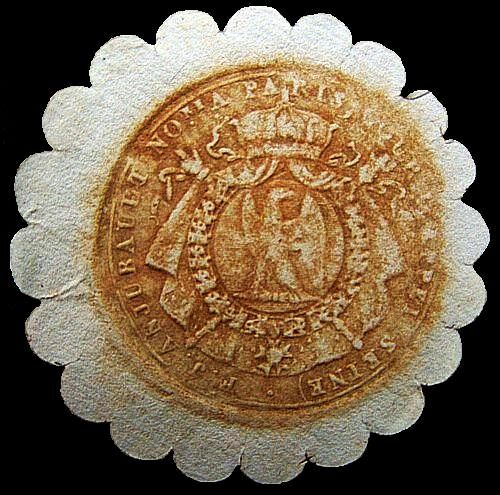 In the centre was the army of Estremedura, which the English troops had promised to support, and which was composed of all the resources of Estremadura and the neighbouring provinces. The army of Andalusia, Valencia, New Castile, and Arragon, stated to amount to 80,000 men, occupied, on the 20th November, Calahorra, Tudela, and the borders of Arragon. This army supported the right of the enemy, and was composed of the troops who formed the camp at St. Roque, and of the whole force of Andalusia, Valencia, Carthagena, and Madrid. It is against this army the French troops are now manoeuvring, the rest having been dispersed and destroyed in the battles of Espinosa and Burgos. The head-quarters were removed on the 22d from Burgos to Lerma, and on the 23d from Lerma to Aranda. 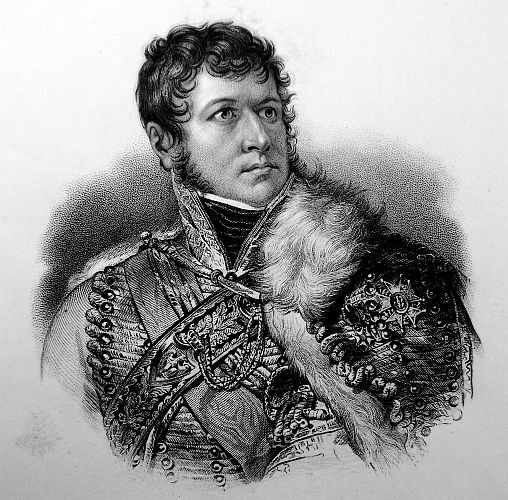 The Duke of ELCHINGEN marched on the 22d to Soria. The town was disarmed , and a Committee well disposed persons appointed, for the administration of the province. The Duke is now in Medina Cell, and his light troops cross the road from Saragossa to Madrid. 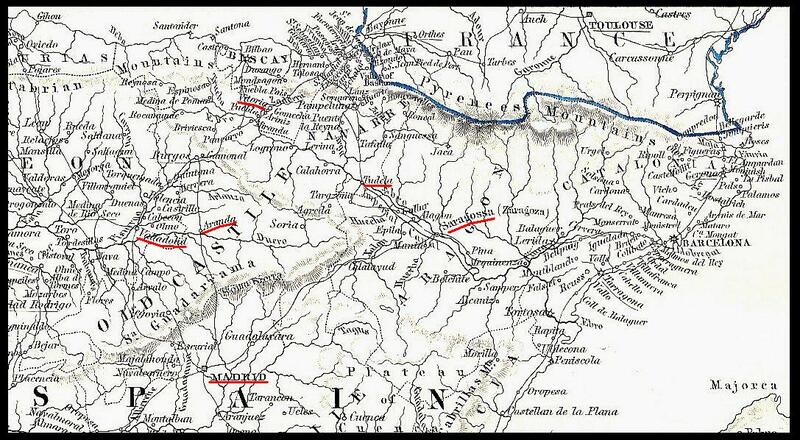 On the 22d, the Dukes MONTEBELLO and CONEGLIANO formed a junction near the bridge of Lodosa. 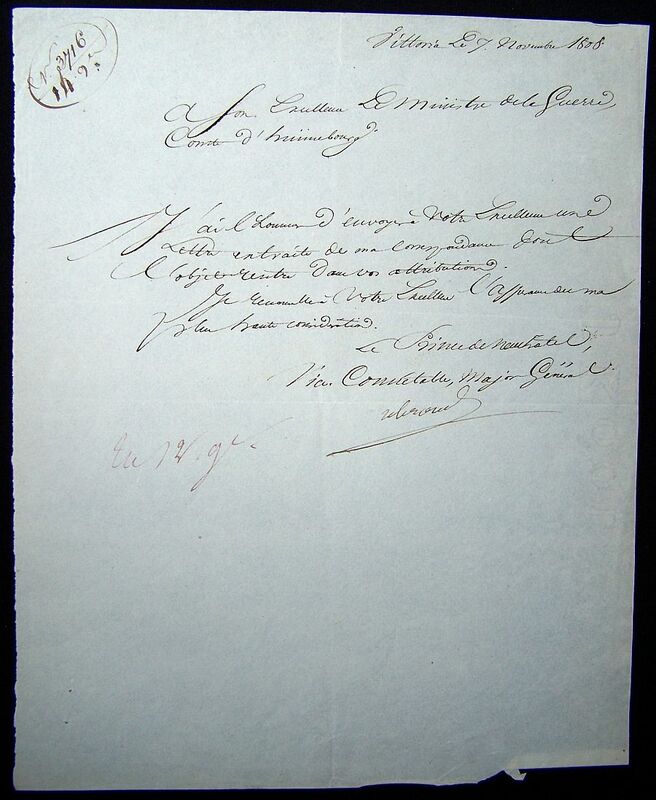 On the 24th, the Duke of BELLUNE removed his head-quarters to Venta Gomez. Almost all the roads of communication between Madrid and the northern provinces are intercepted by our troops, whose light parties have picked up a great number of couriers and mails. The utmost confusion seems to prevail in Madrid, and the whole nation anxiously desires the restoration of that tranquility and peace, of which Spain has been deprived by the puerile arrogance and criminal cunning of a few intriguers. It appears difficult for the army which forms the right of the enemy, and is now on the banks of the Ebro, to fall back on Madrid and the south of Spain. The events which are now preparing, will probably decide the fate of the other moiety of the Spanish army. For these three days we have had damp and hazy weather. This season is more hurtful to the natives of the country, than to men accustomed to the climate of the north. 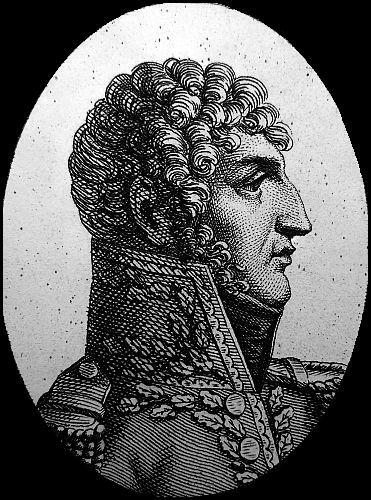 General GOUVION ST. CYR continues vigorously to push on the siege of Rosas. The 10th Bulletin is dated Aranda, the 26th November, and states the Spanish force at 180,000 effectiveness.– 80,000 effective men, 60,000 of whom were armed, and composed the armies of Gallicia and Estremadura, commanded by BLAKE, ROMANA, and GALUZZO, have been dispersed. The army of Andalusia, of Valencia, of Neuvelle, Castille, and Arragon, commanded by CASTANOS, PENAS, and PALAFOX, and , which likewise consisted of 80,000 men, 60,000 armed, will soon meet with its fate, as the Duke of MONTEBELLO has received orders to attack in front; with 30,000 men, whilst the Dukes of ELCHINGEN and BELLUNE are placed behind it. There are besides 60,000 effective men(40,000 of whom are armed), 30,000 of which are in Catalonia, and 10,000 at Madrid, Valencia, and other depots. 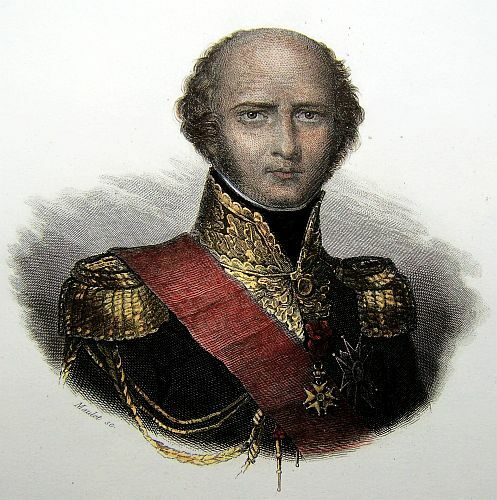 Previous to marching beyond the Duero, the EMPEROR had come to the resolution to annihilate the armies of the centre and left, and then to serve in the same manner that of the right, commanded by General CASTANOS. When this plan shall have been executed, the march to Madrid will be only a walk. This grand design ought now to have been accomplished. 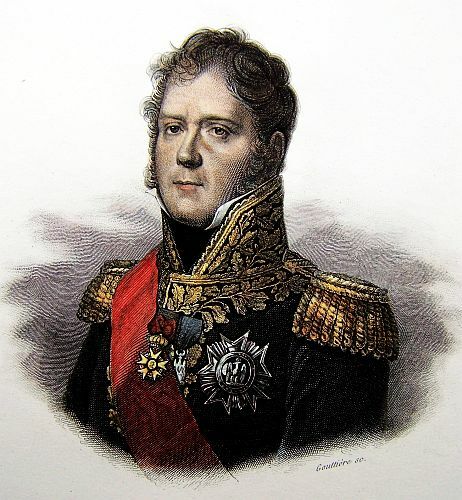 His MAJESTY on the 19th sent off the Marshal Duke of MONTEBELLO with the instructions for his movements of the left, of which he gave him the command. 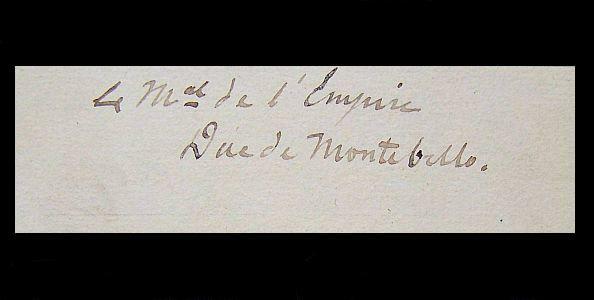 The Duke of MONTEBELLO and the Duke of CONEGLIANO concerted measures together at Lodosa, on the 20th, for the execution of the orders of his MAJESTY. On the 21st, the divisions of General LAGRANGE, with the brigade of light cavalry of General COLBERT, and the brigade of dragoons of General DIJON, set out from Legrono by the right of the Ebro. At the same time the four divisions, composing the corps of the Duke of CONEGLIANO, passed the river at Lodosa, abandoning the whole country between the Ebro and Pampeluna. On the 22d, at the break of day, the French army began its march. It took its direction to Calahorra, where, on the evening before, were the head-quarters of CASTANOS; it found that the town evacuated, and afterwards marched upon Alfaro, whence the enemy had in like manner retreated. 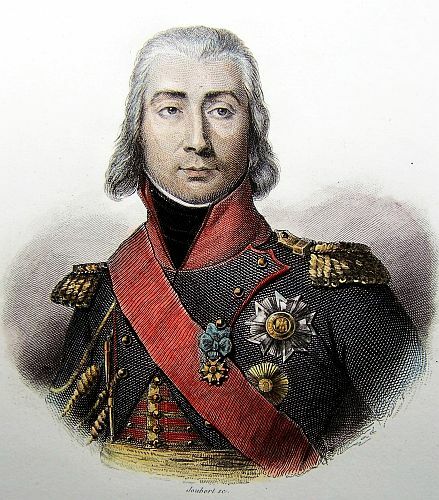 On the 23d, at break of day, the General of Division, LEFEBVRE, at the head of the cavalry, and supported by the division of General MORLEY, forming the advanced guard, met the enemy. He immediately gave information to the Duke of MONTEBELLO, who found the army of the enemy in seven divisions, consisting of 45,000 men, under arms, with its right before Tudela, and its left occupying a line of a league and a half, a disposition absolutely bad. The Arragonese were on the right, the troops of Valencia and New Castile in the centre, and the three divisions of Andalusia, which General CASTANOS commanded more especially, formed the left. Forty pieces of cannon covered the enemy’s line. At nine in the morning, the columns of the French army began to deploy, that regularity, and coolness, which characterize veteran troops. Situations were chosen for establishing batteries with sixty pieces of cannon; but the impetuosity of the troops, and the inquietude of the enemy, did not allow time for this. The Spanish army was already vanquished by the order and movements of the French army. 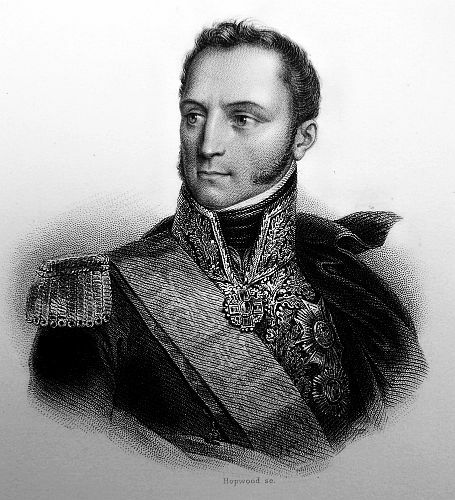 The Duke of MONTEBELLO caused the centre to be pierced by the division of the General MAURICE MATHIEU. 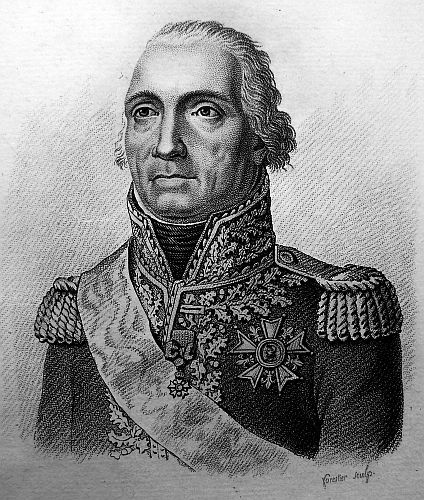 The General of Division LEFEBVRE, with his cavalry, immediately passed on the trot through the opening, and enveloped, by a quarter-wheel to the left, the whole right of the enemy. 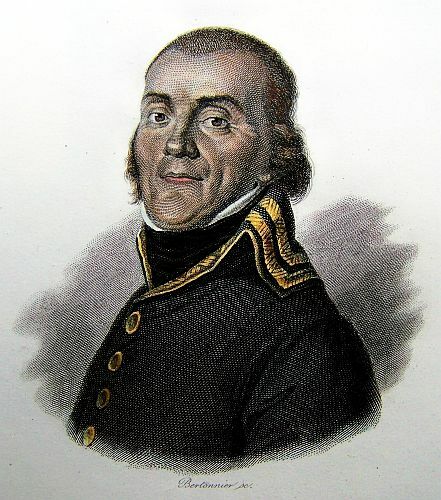 The moment when half of the enemy’s line found itself thus turned and defeated, was that in which General LAGRANGE attacked the village of Cascasnte, where the line of CASTANOS was placed, which did not exhibit a better countenance than the right, but abandoned the field of battle, leaving behind its artillery, and a great number of prisoners. The cavalry pursued the remains of the enemy’s army to Mullem, in the direction of Saragossa, and to Tarracona, in the dirsection of Agreda: seven standards, thirty pieces of cannon, with all their furniture, 12 Colonels, 300 Officers, and 3000 men, have been taken; 4000 Spaniards have been left dead on the field of battle, or have been driven into the Ebro. Our loss has been trifling: we have had sixty men killed, and 400 hundred wounded; among the latter is the General of Division LAGRANGE, who has received a bullet in the arm. Our troops found at Tudela a number of magazines. The Marshal Duke of CONEGLIANO has begun his march upon Saragossa. While a part of the fugitives retired to this place, the left, which had been cut off, fled in disorder to Tarracona and Agreda. The Duke of ELCHINGEN, who was on the 22d at Soria, out to have been on the 23d at Agreda; not a man could have escaped; but this corps being too much fatigued, remained at Soria the 23d and the 24th. He arrived at Agreda on the 25th, still sufficiently in time to seize a great number of magazines. A fellow, named PALAFOX, formerly a garde de corps, a man without talents, and without courage, a kind of insignificant Monk, the true head of a party, which acquired him the name of General, was the first to take flight. This is not the first time he has acted in that manner; he has done the same on all occasions. This army of 45,000 has been thus beaten and defeated without our having had more than 6000 men engaged. The battle of Burgos had struck the centre of the enemy, and the battle of Espinosa the right. The battle of Tudela has struck the left. Victory has thus struck, as with a thunder-bolt, and dispersed the whole league of the enemy. 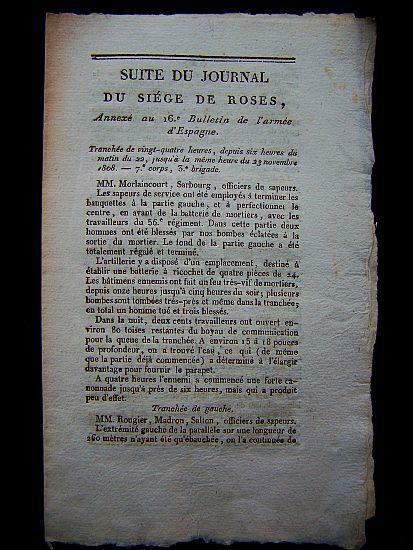 The report of the 18th of November, on the siege of Rosas: The trenches were opened before Rosas, opposite to the bastion of the right of the attack, at 8 o’clock at night. The parallel is 1500 toises in length, distant 500 metres from the place. It envelopes the bastion No. 3, of the front of attack, and extends to the sea. In the rear of this parallel a battery has been constructed, which is to receive six mortars. The construction of the parallel and battery was perfectly concealed from the enemy, who did not fire one single shot to obstruct it. The trenches were manned at break of day. 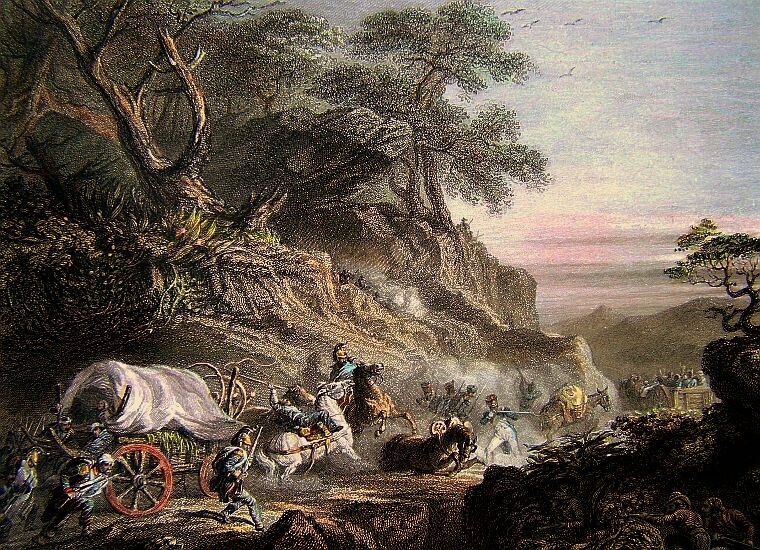 On the 16th and 17th the company of Italian pioneers, supported by a detachment of foot, put the road, which leads to the fort of Rosas, in a proper condition for the conveyance of heavy ordnance, which was accordingly transported to that point. On the 18th a battery was constructed to batter the said fort. This work was directed and superintended by M. RUSGINI, officer of the Italian corps of engineers, and M. LATITTE, a French engineer. 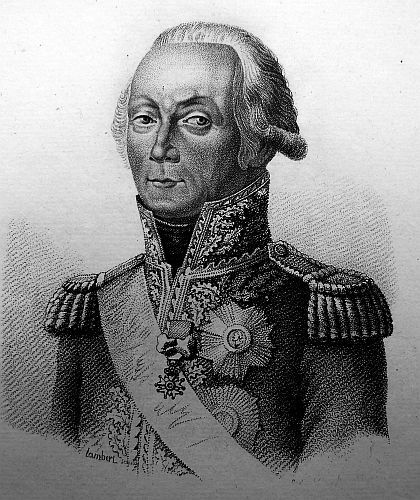 At the battle of Tudela, the General of Division LAGRANGE, charged with the attack of Cascante, ordered his division to march by echelon, and put himself at the head of the first division, composed of the 25th regiment of Light Infantry, which fell upon the enemy with such impetuosity, that 200 Spaniards were killed in the first charge of the bayonet. The other echelons could not come up. This singular intrepidity spread consternation and disorder among the troops of CASTANOS. It was at this moment that General LAGRANGE, who was at the head of the first echelon, received a ball, which wounded him dangerously. On the 26th the Duke of ELCHINGEN advance by Sarracona to Borja. The enemy destroyed 60 tumbrels, which they had at Sarracona. 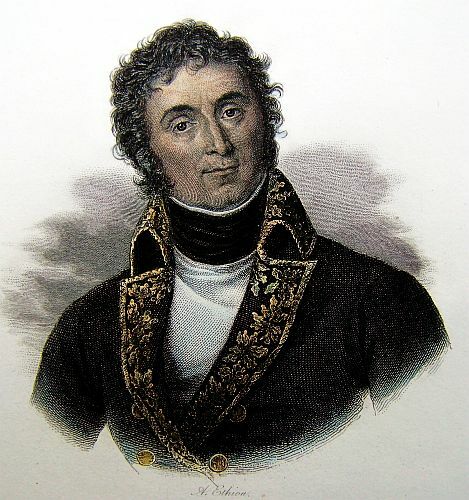 General MAURICE MATHIEU arrived on the 25th at Borja, pursuing the enemy, and every moment taking fresh prisoners, the number of which already amounts to 5000; they are all troops of the line. No quarter was given to any of the peasants who were found in arms. We took 37 pieces of cannon. Disorder and delirium has seized upon the leaders. Their first proceeding was violent manifesto, in which they declared war against France. The imputed to her all the disorders of their Court, the degeneracy of the race, which reigned, and the baseness of the great, who, for many years, have prostrated themselves in the most object manner at the feet of the idol, which they load with all their rage now he is fallen. They have a very false idea in Germany, Italy, and France, of Spanish monks, if they compare them to the monks which exist in those countries. We find among the Benedictines, the Bernardins, &c. in France and Italy, a crowd of men remarkable in science and literature; they distinguished themselves by their education, and by the honourable and useful class to which they belong. The Spanish monks, on the contrary, are chosen from the dregs of the people; they are ignorant and drunken, and can only be compared to people employed in slaughter-houses: they are ignorant, and have the very manner and appearance of it. It is only over the lowest classes that they have any influence. A citizen would think himself dishonoured by admitting a monk to his table. As to the unfortunate Spanish peasants, we can only compare them to the Fellahs of Egypt; they have no property; every thing belongs to the Monks, or some powerful house. The liberty to keep an inn is a feudal right, yet, in a country so favoured by nature, we find neither post nor inns; the taxes were alienated, and belong to the Lords. The great have degenerated to such a degree, that they are without energy, without merit, and even without influence. We every day find at Valludolid, and beyond it, considerable magazines of arms. The English faithfully executed that part of their engagement, they promised muskets, poignards, those they have sent in profusion. Their inventive spirit has been signalized; and they have carried to a great length the art of spreading libels, as of late they have distinguished themselves by their fire-rockets. All the evils, all the scourges which can afflict mankind, come from London.